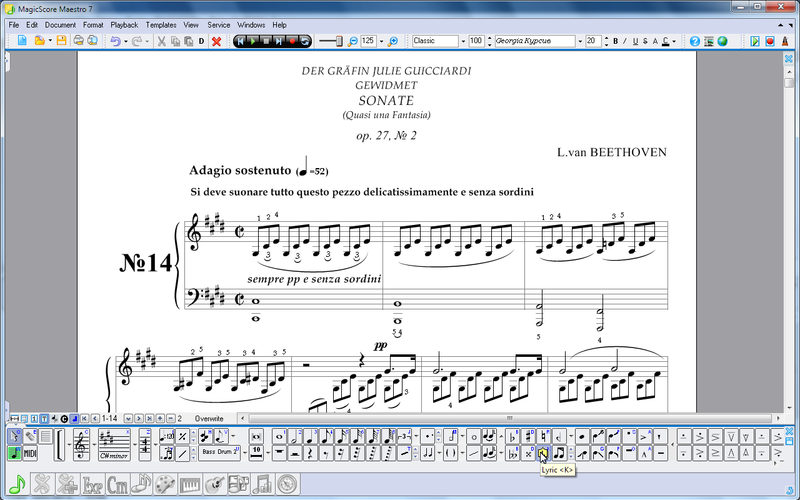 The ‘Notes’ palette of this music notation software is designed to make it easy to the enter clefs, keys, pauses, notes and symbols for a note in the score. To speed up entering information you can combine entering a note with its style, semitone, microtone, tremolo, triplet and other symbols. Hot keys are a useful way to quickly switch between entering modes and the symbols added to the score.